IMAGINE What would it feel like to have no obligations to attend to? No errands to run? And no chores to get done –– for an entire month? What would it feel like to have only one responsibility? Open to learning. Open to self-discovery. Open to becoming who your soul is longing to be. Open to becoming your best possible self. 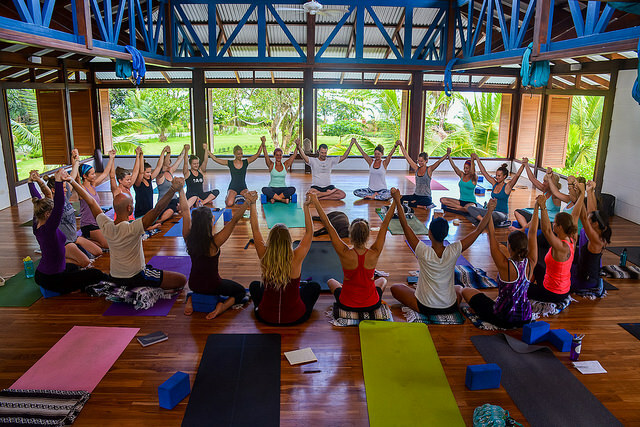 Internationally renowned teacher + as a lifelong student), came to a definitive conclusion: The best training programs all provide their students with the same element –– a safe space outside of their everyday routine. This is where deep transformation happens. An immersive yoga teacher training intensive gives you the space to go deep, get confident and get certified. Learning is accelerated. Confidence is amplified. And new habits are formed. 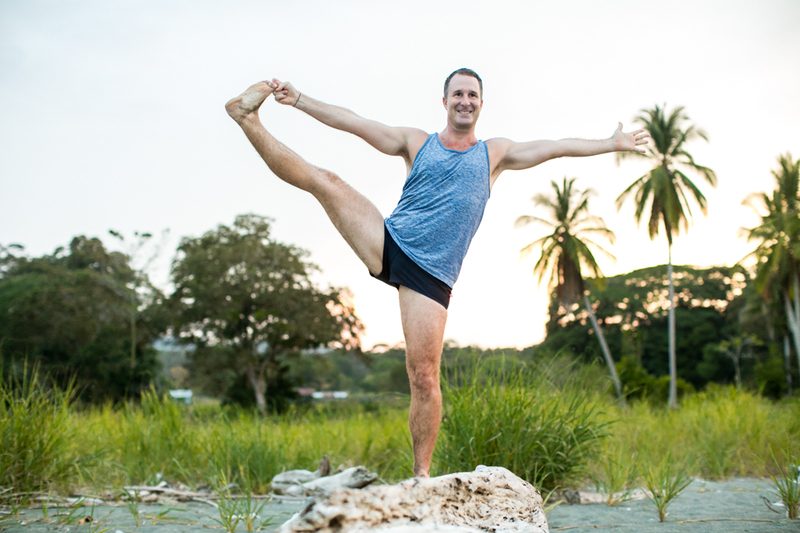 Strengthen your practice and connect to your purpose in this special yoga class series with Yogi Aaron. Discover the power of yoga through the mastery of sequencing and intelligent practice of postures. You will learn how the physical practice of yoga can be used as a gateway to rid yourself of your fears and to step back in your life with a greater feeling of excellence and self mastery. Align with a greater sense of purpose as you leave this class with a deep feeling of direction – nothing in the world is unreachable. The world of limitless possibilities will open up before you. – 50 euro for one session. – If you register at once for 2 or 3 workshops, you receive a discount of 20%, so you pay 80 euro for 2 sessions and 120 euro for 3 sessions. – After online registration you will receive a email with a download link with your ticket. Please bring this ticket to the workshop. If you sign up before February 15, you receive an extra 10% discount. So you pay 45 euro for one session, 72 euro for two sessions, 108 euro for 3 sessions. In past yoga classes, you have had those moments: An epiphany. Stillness. A Shift in Perception. An awakening. But NOW you want more. You want to understand why. You want to go deeper. Take a journey with Yogi Aaron to unlock the “Power of Yoga”. Learn how yoga can align you with your life purpose. Cultivate a deeper mean and experience of what yoga can be for you. The weekend workshop will be a deep immersion into these teachings of yoga, not just learning them as a subject but experiencing and practicing them. You’ll learn how to apply them in your life so that you get to know yourself truly and deeply. This asana-based yoga class will cover the foundational practice of yoga, as taught in the Yoga Sutras by Patanjali. This rare insight into the yoga sutras (2:46, 2:47 + 2:48) will change the way you practice yoga forever. Yogi Aaron will show you what this sutra is teaching you. He will take you through a yoga practice to access the full potential of what the yoga tradition is teaching us. Do you know how far you can stretch yourself? Do you know and understand what stops you in life? Yogi Aaron will take you through a yoga practice to expand the possibilities of what you are body can do. 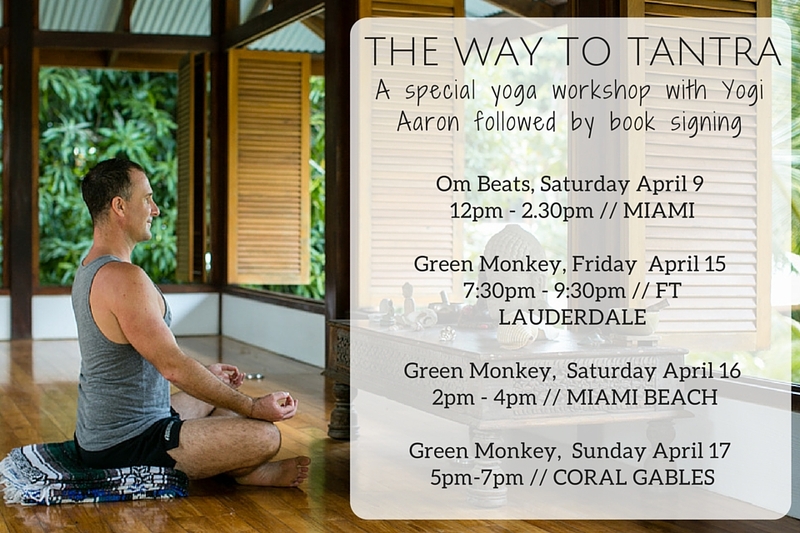 Aaron will lead you in a yoga practicing using a combination of mantra yoga, kriya yoga, and hatha yoga. He will show you how to apply these three styles to access your unlimited potential. Prana Yoga – One of Yogi Aaron’s favorite teaching, Prana Yama, when practiced correctly, will unlock the doors of possibilities in your life. You have been trying to meditate but have not always been able to still your mind? You have done the breathing practices of yoga but have not been able to go deeper and wonder why? This class will help you to open the door of possibilities in Prana Yoga and how to go to deep places in your asana and meditation practice. Looking for more fulfillments? Do you feel your heart is sometimes too heavy? Would you like to feel more at peace in a world that is sometimes chaotic? Do you feel disconnected to your purpose and the direction your life is going? 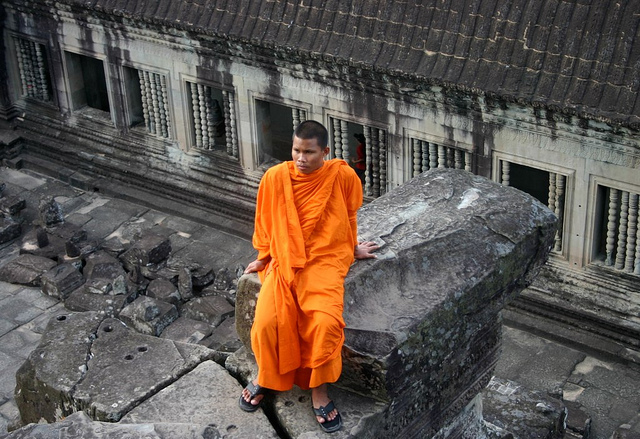 Angkor Wat, Cambodia holds such awe and mystery in our minds. 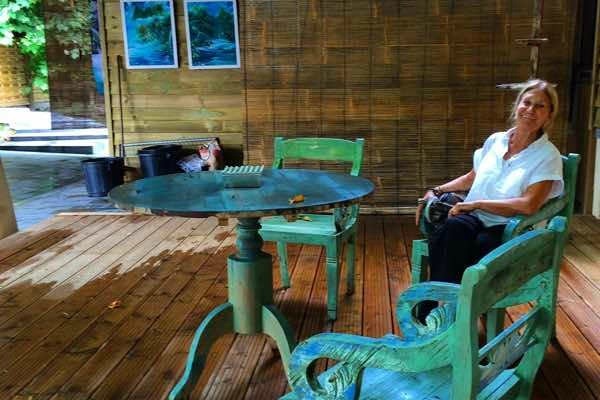 Not only will Yogi Aaron be teaching the yoga classes, but he will be joined by Chef Marie who will be preparing gourmet cuisine in this beautiful countryside retreat. We welcome you to France – Marie’s world – a world of simple beauty and elegant taste. A world that is bursting with flavor. 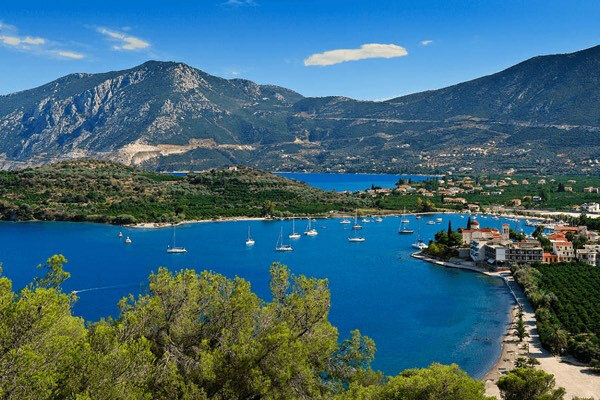 Join Yogi Aaron in the beautiful seaside village of Epidavros. Everyday will bring new adventures and exquisite tastes as we explore the ancient culture and food of Greece. Journey back in time to ancient Greece. India – a place of magic, mystery and awe. The origins of yoga are found everywhere in India which is why so many people, hoping to catch a glimpse of this ancient mystery, make this journey. 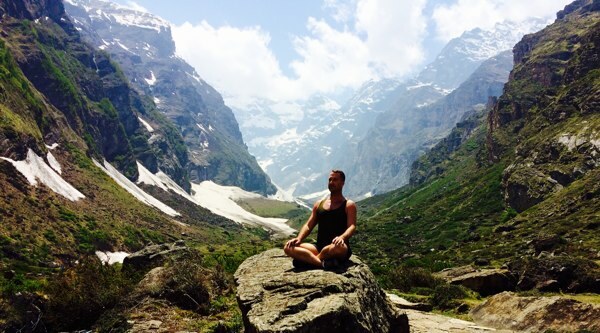 Join Yogi Aaron on this sacred pilgrimage to the birthplace of yoga, to the Himalayan Mountains. When you think of Tantra, the first thing that comes to mind probably isn’t yoga. Yogi Aaron thinks it should be. In this workshop, we will reflect on the fragility of life and in contrast, its unlimited possibilities. Become limitless and embrace abundance. Establish a deeper connection to your inner self. Learn to honor your yoga practice through the highs and lows and allow it to lead the way.